5 H.P. 3 Phase Electric Motor for Clay Making & Brick Moulding Machine. Soil Mixer, Clod ( Dhela) Crusher, Mould Washing & Water Circulating system with 4 Wheel 2 H.P. 3 Phase Motor driving system with stearing. We, Shri Engineering Enterprises, were incorporated in the year of 1992, are a leading and trustworthy organization of the industry affianced in manufacturing, exporting and supplying an optimum grade assortment of Construction Machines. Product array provided by us consists of Solid Block, Concrete Weigh Batcher, and Vibratory Sand Screening Machines. These products are manufactured from optimum grade raw material procured from the reliable and certified suppliers of the industry. 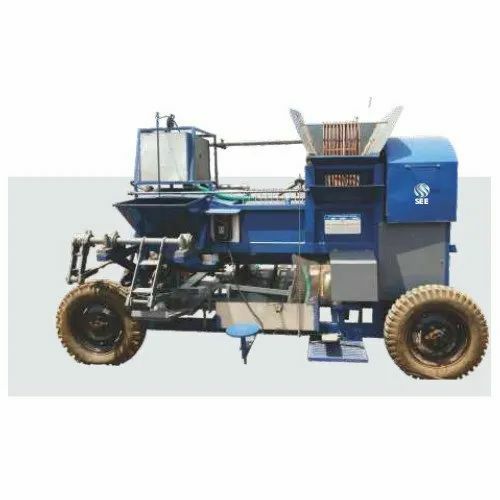 To meet the client’s requirements in best possible way, we are offering these machines in a wide variety of specifications. Apart from this, we are offering these products at pocket-friendly prices within the short frame of time. All the offered products are manufactured products are checked by our quality expert team members. They perform stringent quality assurance procedures at each phase of production. Our professionals are working very sincerely to maintain our top position in the market. We have a top notch infrastructure unit which helps to maintain the quality of the manufactured machines. Along with this, we have a team of highly talented and experienced professionals.